I’d like to share with you some thoughts in response to comments I have heard recently from several adult students both in my one on one lessons at the conservatory, and online. 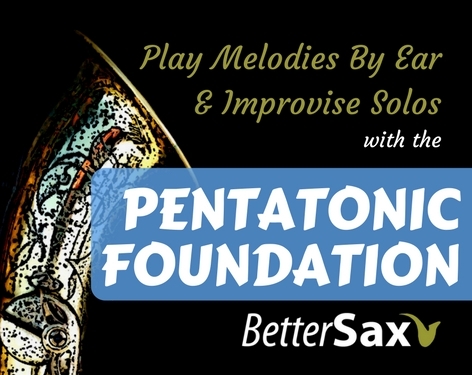 As you probably know, my online course, Pentatonic Foundation is all about learning to play popular song melodies by ear and beginning to improvise using the pentatonic scale. I suspect many of you have had the same doubts. I know music can appear very mysterious. That mystery is where much of the beauty and intrigue lies. It’s important to understand however, that just about everything you hear in music can be broken down, explained and learned. This process of breaking down what you hear and learning it yourself, is the most effective way to improve your musicianship. There is no other single thing you can do that will help you achieve your goals as fast. We commonly refer to this process as playing by ear and despite what you may think, you too can do it. I’d like to show you how. 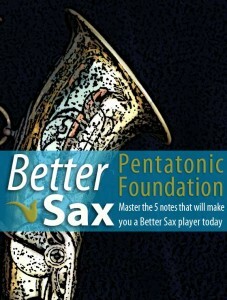 I created the Pentatonic Foundation Course specifically for saxophonists that want to learn to play melodies without sheet music, and improvise or jam with their friends. The reason you may feel that playing without sheet music is impossible is because of the way you learned to play. Everything you’ve ever played has been written down from day one. Let me put this in perspective. Ask a musician that has only ever played by ear to read sheet music. They will tell you that they can’t and that it’s impossible. They would first have to learn all about the musical staff and the difference between eighth notes and quarter notes and endless other bits of information necessary to reading music. It takes quite a while to learn all of that stuff, but learning a song by ear is something that just about every single person in the world has already done. Most people can sing the melodies of several memorized songs, for example: “Happy Birthday To You”, your national anthem, and at least a few children’s songs. You probably could sing along to dozens of popular songs you hear on the radio as well. My point is that you have been learning songs by ear your entire life, therefore, it is definitely possible for you to do the same on your instrument. 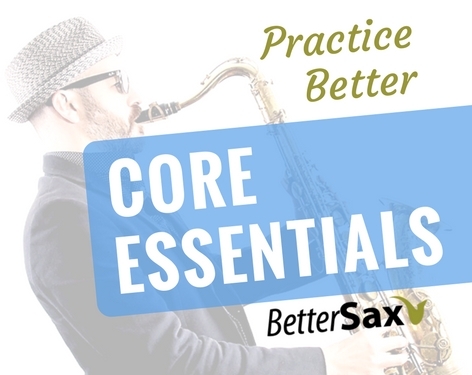 I recommend you first sign up for the Play Sax By Ear Crash Course. 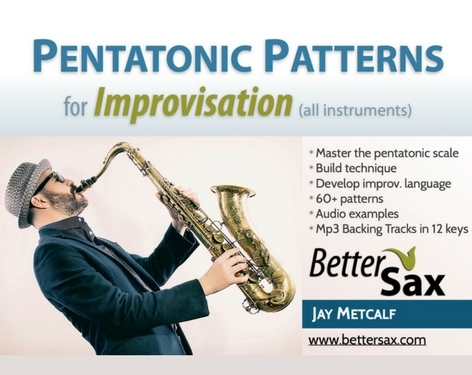 This free course is meant to serve as an introduction to the Pentatonic Foundation. While going through the course you have to follow the instructions exactly and in order. This course is already a shortcut to playing by ear so cutting out any of the steps will just slow down your progress and make reaching your goals more difficult. I have purposely made the course simple to follow and concise. The difficulty increases progressively and the concepts presented can be applied to more complex material in the future. Don’t cut corners. I’ve already removed all of the unnecessary filler commonly found in many saxophone methods. 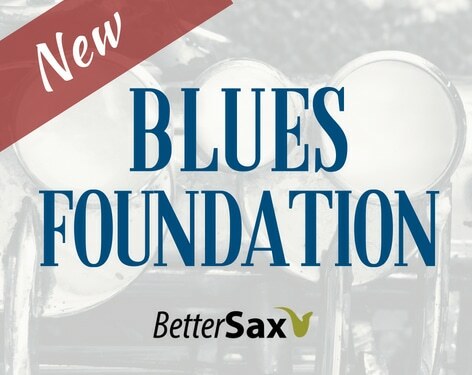 By taking your time and closely following the concepts taught in both the Play Sax By Ear Crash Course and the Pentatonic Foundation Course, you are setting yourself up for years of steady improvement. I do encourage you to use what you’ve learned to continue adding songs to your repertoire. These will of course be learned by ear and memorized. They still desperately want to sneak a peak though. Now, if you are taking the online Pentatonic Foundation Course, you will not have me in the room with you to take away your sheet music so you must resist the urge to peek. For this system to work, you have to take a leap of faith. I tell my students that are trying to play a song without sheet music for the first time to trust their ears and fingers. They will surprise you if you give them the chance. In this process, you are welcome to make as many mistakes as are necessary to arrive at your goal. Don’t let the possibility of playing a wrong note hold you back. This fear of playing the wrong thing causes our body to tense up and becomes a self fulfilling prophecy. Relax and go slow. Playing slowly helps keep us calm and greatly increase the chances that we play the right notes. Finally, trust your fingers and ears, they are more capable on their own than you may realize. If you have hesitated to get started with the course because you doubt your own ability to play without sheet music, I hope you will reconsider, and give it a try. I’d love for you to join the many other students that are discovering the world of possibilities the Pentatonic Foundation opens up for them. And don’t forget, if you go through the lessons and at the end find that you still cannot play anything by ear, just let me know and I’ll give you a full refund. Hi Jay, i came across one of your YouTube clips as i was searching for soprano sax street players, I’ve played sax on and off for years, trying to start up again, watched several more of your clips, man! Now I’m excited about starting again, I read music and know that it does hinder progressing if you want to improvise, something i have never been able to do because I felt it was too complicated, now I’m on a mission to learn. Do you have any clips on soprano mouthpieces? James, I haven’t done any soprano videos yet, but I will soon since others have been asking as well.